Dr. Char has had a long career in education spanning from 1972 to the present. Actually she has had three careers! She taught special needs students for over 21 years. In 1984 (overlapping with her teaching career) she and her sister Gigi developed the Zoo-phonics® Multisensory Language Arts Program. In 1993 she retired from teaching to devote full time development and promotion of Zoo-phonics®. Zoo-phonics® has gone across the country and the world to become an international program, and is translated into 3 other languages (Arabic, Spanish and Danish). Char always dreamed of opening a preschool/toddler learning center where Zoo-phonics® would be the highlighted curriculum. In 2007 this dream became a reality with the opening of the Safari Preschool and Day Care Center in Sonora, California. Char has been married to Bill for 45 years. She has three grown children (great in-laws) and six grandchildren. Katie was born and raised in Groveland, California. After graduating from Tioga High School she attended Columbia College to study Child Development. In 2007, Katie helped to open Safari Learning® Academy where she taught the toddler program for the first year. After that, Katie stopped teaching to take over the finances, human resources and handles the overall management of the Academy. Katie has literally grown up with Zoo-phonics® – traveling all over the U.S. and many parts of world to share Zoo-phonics®. 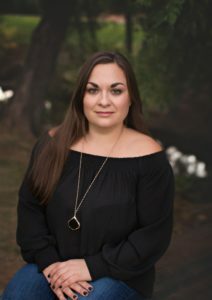 Her love for children and teaching was established early on, but especially after having the opportunity to teach children in different countries Zoo-phonics® as well as training workshops for teachers. Katie has two beautiful and precocious children, Marcus Edwards (born in December 2008) and Gwendolin (born in 2013). Katie’s hobbies are having adventures with her kids, having fun with friends, cooking, traveling, putting on parties, and reading. Katie loves what she does and is grateful for the opportunities that she gets every day to work with children, parents and teachers. Jodi Gates was born in Iowa City, Iowa. She moved to Antioch, California with her parents and younger brother when she was 3 Years old. After graduating high school she attended California State University working towards a degree in psychology. While attending college she worked for the Head Start program in schools all over Sacramento County. When she moved back to Antioch she began working for Starbucks Coffee Company and The Family Stress Center based in Concord, CA. While at the Family Stress Center she mentored youth with mental illness. While this job was extremely rewarding she moved on to work at the Fine Arts Preschool in Walnut Creek, CA and continued at Starbucks. In the meantime, her boyfriend, now husband, applied for a job in Tuolumne County. He received an IT position with the county and they moved to Sonora. Jodi transferred to Sonora with Starbucks and continued to work for the company for seven years. The perks were great. She got married to Jamie and they had two little girls, Julia and Jenna. 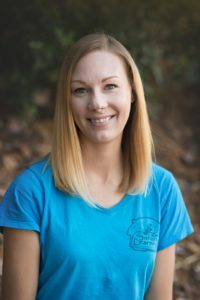 After Jenna was born Jodi became part of the team at Safari Learning Academy, the perks here are even better. She loves teaching children and helping them to find their voice. Jodi became the Head Toddler Teacher in the toddler program in 2015. When Jodi is not working she loves to spend time with her family. They love hiking and camping. Every year Jodi and her husband hike to the top of half dome in Yosemite.